Mi Flash Pro Tool is a small application for windows computer which allows you to flash and restore your Xiaomi smartphone, you can easily download the required ROM using the software interface, flash from recovery mode without unlocking the bootloader. It will work even if forgot the key lock pattern or fingerprint. In my opinion this is an ultimate tool for flashing and recovering Xiaomi devices. Download ROMs right from MiFlashPro interface. Big thanks to Xiaomi for starting the development on Mi Flash Pro, this is a revolution in modifying, flashing and bootloader unlocking. In addition Mi Flash Pro is a universal tool for both MTK and Qualcomm devices. Comes with inbuilt SP FlashTool and Mi Flash software. In order to use MiFlashPro with it’s full power you must have Mi account. Download required firmware ROM right from the MiFlashPro. Recovery mode flashing without unlocking the bootloader. Factory reset from Custom ROMs. Always check software for updates! In the latest 3.3.518.58 version we’ve got support for more Xiaomi devices. MiFlash Pro tool is a great tool for modifying, flashing ROM, unlocking the bootloader. It’s also a universal tool for both MediaTek and Qualcomm chipsets. However, to use MiFlash Pro tool with full power, you need must have a Mi account for the login. 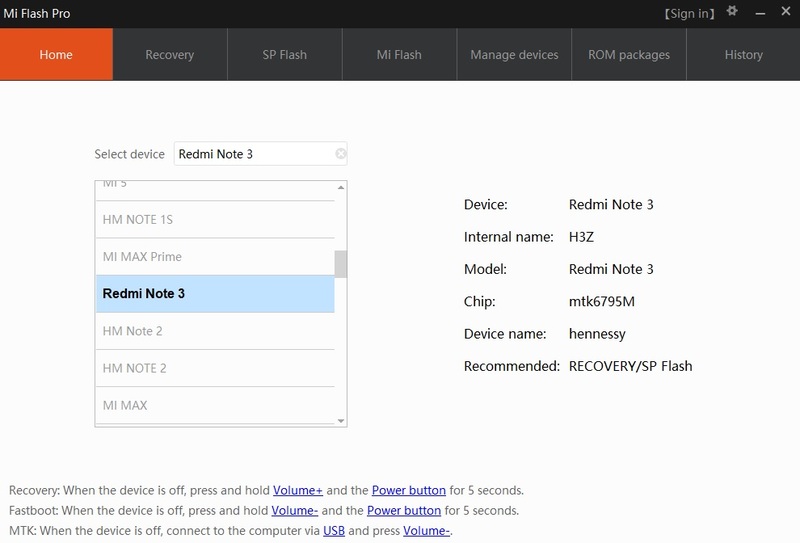 Flash recovery without unlocking the bootloader. You should also check for later updates. At the time we write this post, the latest version is 3.518.58.